Earlier today Toronto Mayor Rob Ford admitted to smoking crack cocaine "about a year ago". The video above includes his subsequent apology later in the day. The following is a body language analysis of some of its highlights. 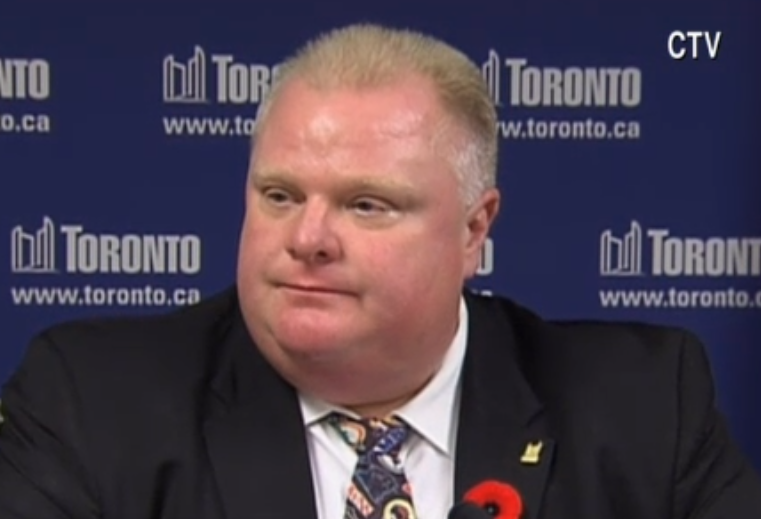 At 0:25, just after Ford says, "Folks I have nothing left to hide", he displays a microexpression of regret on the right side of his mouth (Don't confuse this with a contempt microexpression or that of "duping delight"). After saying, "I kept this from my family, especially my brother Doug" (1:27) the Toronto Mayor exhibits an "Inward Lip Roll". The inward lip roll (ILR) is an outward manifestation of the psyche's attempt to prevent the escalation of emotions. Most of the time these emotions are negative (here sadness - though often it is anger) but on occasion it is subconsciously utilized for laughter (joy) suppression. Mr. Ford was pressing hard on his lips during the ILR. In this image, the continued blanching of his lips can be seen. This phenomenon is normal - however in this case it persists longer than usual and thus may be a symptom of a medical condition (such as partial carotid artery occlusion, anemia and others). He should be evaluated thoroughly for these. 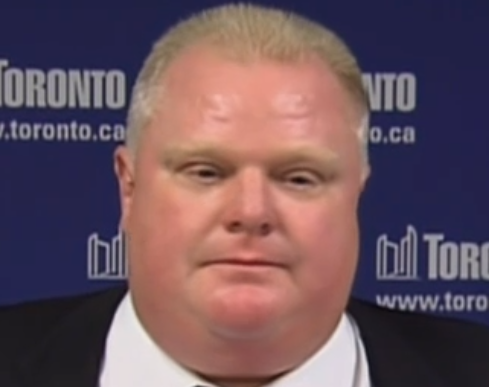 At 2:09 Rob Ford's nonverbal display takes on that of the "Puffer Fish" - which has a physiologic and physiologic calming effect and is seen most commonly after, but sometimes before a particularly stressful event. 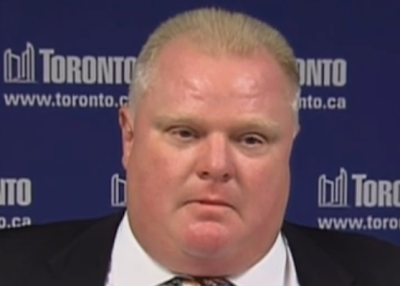 This puffer fish nonverbal occurred immediately after the Mayor apologized. In the context of any apology, it is reasonable and expected to ask if it is sincere. 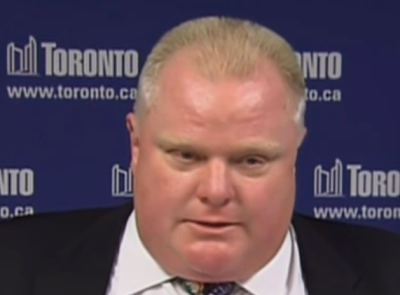 A crucial body language component of an apology is the appearance of a "Central Forehead Contraction". However, it is very important that there is no element of a smile with a CFC - not even a subtle or suppressed one for that has a VERY different meaning. Mr. Ford has undergone Botox treatments in his forehead with a concentration in the center forehead. This is common and politicians in particular use this to avoid appearing angry. At such times as these - and many others when sincerity is called for, Botox will interfere with the expression of a CFC and therefore with sincerity and its projection. His expression is considerably suppressed here. 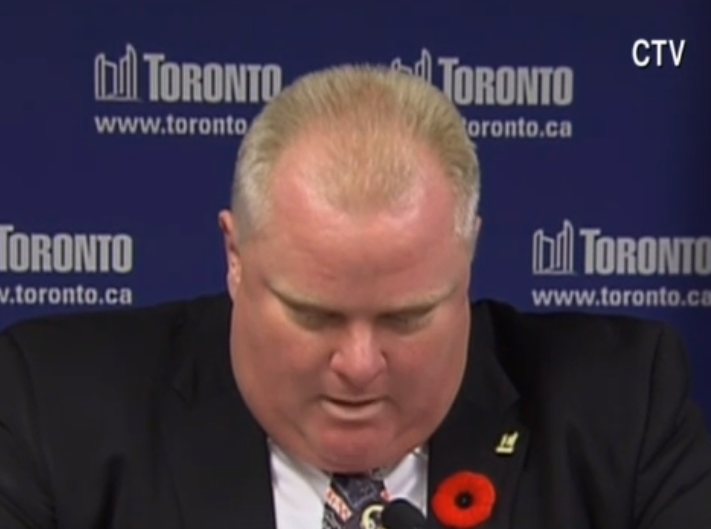 Never the less, if one looks carefully, a CFC can be seen here at 1:57, just after he says, "... apologize ..."
At 1:59, Rob Ford says, "... apologize ..." again and despite heavy Botox use, his central forehead contracts once more. At 2:04 as he says the word, " ... I'm ..." (within the sub-sentence, "... and I'm sssso sorry.") - we see his central forehead again contract. Whenever accessing for sincerity, one should always determine if the verbal message, the nonverbal message and the vocal qualities (paralanguage) are aligned. It they are congruent - sincerity is present. If not - it's Red Flag Time. In this apology they are highly congruent. 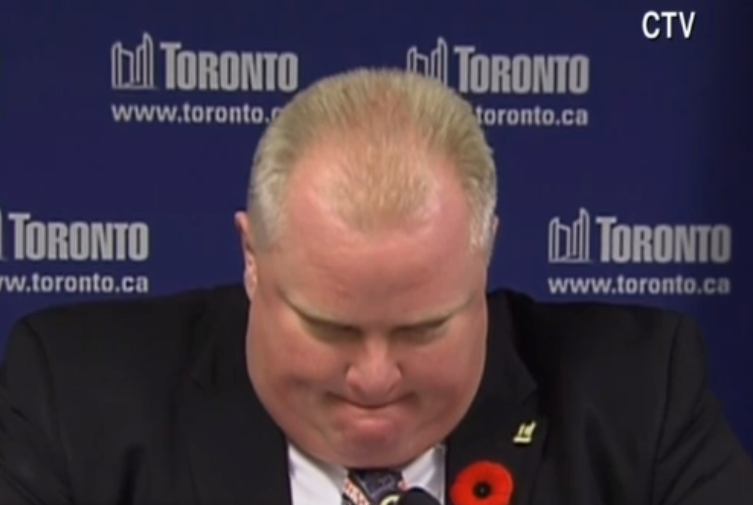 Rob Ford is sincerely sorry. 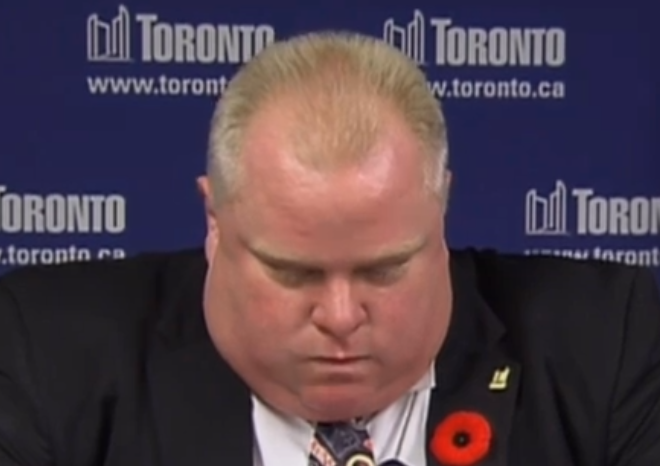 Of course no one would endorse Rob Ford's use of crack cocaine and many may think under the circumstances he should resign - however the Mayor of Toronto's apology is absolutely sincere. Nonverbal Communication Analysis No. 2589: Toronto Mayor Rob Ford Admits to Smoking Crack Cocaine - Body Language of the "Head Torque"
Nonverbal Communication Analysis No. 2578: Obamacare Website Apology - Sincere vs. Insincere? Nonverbal Communication Analysis No. 2441: Paula Deen's Apology - What Does Her Body Language Say?